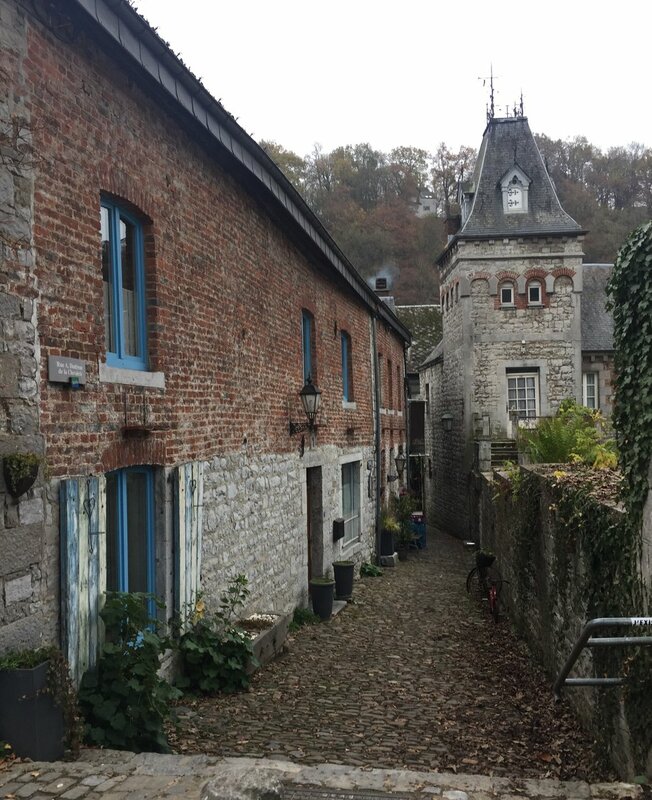 Our next Trover recommendation was Durbuis a medieval village/town in the Ardennes region. It's claim to fame is that it is apparently the smallest town on earth. ...but what really appealed to me was the very clearly visible fold in the surrounding rocks called the Durbuis Anticline. I love the fact that right here you must have had huge mountain building forces at work, causing the entire crust of the earth to warp and bend. Then through erosion over millenia the rocks were slowly revealed, a river scoured away at the weaker elements until you were left with steep cliffs all around and a solitary rocky mound by the river. It's a great feeling when just by walking and looking around a place, the landscape seems to talk and reveal's its history. For me at least, the geology totally upstaged the town itself.